Pointwise’s hybrid mesh generation capabilities, especially the T-Rex technique (anisotropic tetrahedral extrusion), provide a rapid method for meshing complex geometry with boundary layer resolution. In this webinar, we introduce adaptation in Pointwise and how this upcoming feature is used to improve upon existing mesh adaptation solutions. Working with one of the world's top big wave board shapers, engineers at CRAFT Tech have applied computational fluid dynamics (CFD) within a design optimization process, employing a genetic algorithm to evolve the design of a big wave surfboard. In this article, we will explore the design framework that allowed over 100 design iterations to be explored, resulting in a higher speed, lower drag, big wave surfboard design. Students at KTH Royal Institute of Technology in Sweden investigated the performance of a pick-and-place machine using CFD. Pointwise was used to perform a grid refinement study for a static simulation where the nozzle of the machine as well as the distance to the component varied. Additionally, an overset mesh was generated for a 1-DOF dynamic simulation. In this webinar, we highlight four new major features available in Pointwise V18: quad-dominant surface meshing, farfield shape creation, unstructured hex-dominant boundary layer meshing, and volumetric sources. 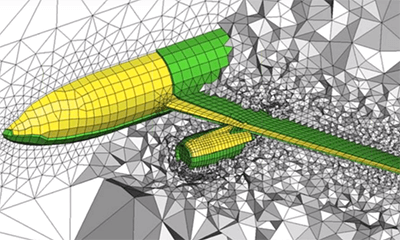 Starting with an existing aircraft geometry, we demonstrate the entire meshing process beginning with the generation of a quad-dominant surface mesh. Chasing the Sun 3000 km across the Australian Outback is a challenge. And doing it in a solar powered vehicle is an even bigger challenge. But every two years the Stanford Solar Car Project, a student-run organization, arrives in Australia with a new design ready to take on the Bridgestone World Solar Challenge. This article summarizes the simulation driven design framework that enabled the team to analyze over 40 design iterations and improve the aerodynamic efficiency of their 2015 car, Arctan. While the folks at Pointwise appreciate the beauty and utility of grids, usually the computational meshes produced by our software are used as an intermediate step in a customer’s engineering analysis process and not as the final goal of the project. However, Branch Technology, with its novel freeform 3-D printing techniques actually turns these meshes into physical structures that can be used as building elements or as seen here, works of art. Discover how to create unstructured hexahedra quickly on complex geometry using T-Rex (anisotropic tetrahedral extrusion). Best practices for the generation of both surface and volume meshes and troubleshooting techniques are shown. The University of South Florida's Formula SAE racing team, USF Racing, placed 6th overall out of more than 80 teams competing at the Formula SAE competition in Lincoln, Nebraska in June 2015. It was only the second year we competed in the category. Using Pointwise helped our team to have a successful season. Pointwise's Glyph scripting allowed for multiple simulations providing good performance estimations for our vehicle's aerodynamic package. In turn, this allowed the team the flexibility to tune the car's performance quickly for instant results. When coupled with a high-quality mesh generator, mesh morphing promises to allow rapid design space exploration by eliminating the need to remesh. Using the DrivAer geometry as an example, we use Pointwise, OpenFOAM, and Sculptor to simulate design variations. Researchers at Toyohashi University of Technology in Japan have used detailed DNS calculations of the flow through a recorder to better understand its sound generation mechanisms and give guidance for future instrument designs. Garry Rogers Motorsport (GRM) team uses Pointwise to produce detailed, high fidelity CFD meshes for the design and improvement of their V8 supercars, which aided in last year's successful introduction of a new vehicle, the Volvo Polestar S60. In this Let's Talk Meshing webcast, we present an introduction to writing a Pointwise plugin using the CAE plugin software development kit (SDK). The SDK is an application programming interface (API) that you can use to program Pointwise to export your mesh to your solver-specific format. Researchers at RWTH Aachen University are studying fluid-structure interaction on wind turbine rotor blades to develop strategies to increase their life expectancy and reliability. They use Pointwise's T-Rex for control over the meshing process. Garry Rogers Motorsport is a racing partner with Volvo Car Australia. They used Pointwise and T-Rex meshing to help in the aerodynamic design of their new car for the 2014 season with excellent results in their simulations and on the track. Researchers at Politecnico di Milano have used Pointwise and OpenFOAM® along with moving, non-conformal mesh interfaces to analyze internal combustion engine performance. Their results on two benchmark cases compare well with experimental data. See how Pointwise V17.2 will help you quickly generate unstructured hexahedral boundary layer meshes using T-Rex (anisotropic tetrahedral extrusion). Using a generic, baffled tank stirred by a Rushton turbine you will see how to use Pointwise to generate high-quality unstructured meshes suitable for steady-state moving reference frame calculations in OpenFOAM. University of Texas at Arlington's (UTA) racing partnership with Pointwise during the past three years has resulted in an influx of aggressive aerodynamic development for the UTA Formula SAE race cars. The grid generation software has been crucial in several developments that have resulted in significant improvements to the wing packages on the cars. Pointwise can easily manage and organize complex assemblies so you can focus on meshing a single component at a time. This allows engineers to rapidly generate high quality hybrid grids while maintaining the connectivity between adjacent components. Combustion Research and Flow Technology (CRAFT Tech) has been using CRUNCH CFD® and Pointwise to design and evaluate pump systems for our customers. Pointwise has proven to be a robust and powerful tool for generating high-quality unstructured meshes. Many aerospace-related applications exist that require surfaces to move within a given region. This can include bodies moving relative to each other, as happens during a store separation, or surfaces actually changing shape, which is what happens with ablation and aeroelasticity. This webinar will discuss how the North American Eagle land speed record team used Pointwise and CFD++ to help design aft suspension fairings to reduce overall drag on the car while maintaining stability and control. The reduction of the drag force on all types and shapes of objects has historically been, and remains, a major focus of aerodynamicists and fluid mechanics researchers everywhere. Aircraft, automobiles, rockets, boats, and a multitude of other devices and components suffer from the ill effects of viscous and form drag. Customers have written many articles about how they apply Pointwise for their real applications. We have written many articles describing benefits about the features in Pointwise. However, these articles rarely describe the full meshing process in any detail. For the complex geometries encountered in modern analyses, creating boundary layer resolved meshes can be tedious and error prone. Pointwise's anisotropic tetrahedral extrusion method, T-Rex, is a robust and highly automated method for creating unstructured boundary layer meshes on complex geometries. This video walks you through the generation of a hybrid mesh for a horizontal axis wind turbine. The simulation of airflow over a golf club shows the CFD process from geometry creation through solution post-processing for two hybrid meshes: one made exclusively in Pointwise and one combining Pointwise with mesh generation tools developed at UTC SimCenter. Extrusion of prism layers can be performed using a traditional algebraic technique in Pointwise as shown in this video. During this webinar, you will learn how to save time creating CFD meshes on the Sandia National Lab CX100 horizontal axis wind turbine using a combination of Pointwise’s structured and unstructured mesh techniques. In this webinar we will illustrate an automated methodology that can be applied to optimizing blade design with independent CFD tools. The world's fleet of approximately 45,000 cargo ships transports around 8,000 million tons of cargo per year. What is, perhaps, somewhat less known is that these ships also transport some unwanted hitch-hikers in the form of organisms that get scooped up when ballast water is taken on. Embry-Riddle Aeronautical University (ERAU) participated in the Pointwise Teaching Partnership during the 2010-11 academic year. As a part of the course ME 409, Vehicle Aerodynamics, students are taught to utilize Pointwise to create multi-element unstructured grids in order to complete CFD projects. 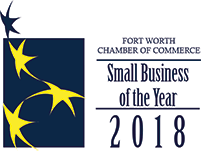 Over the past year, use of Pointwise for computational fluid dynamics (CFD) mesh generation has helped increase productivity drastically on the Formula SAE team at the University of Texas at Arlington.